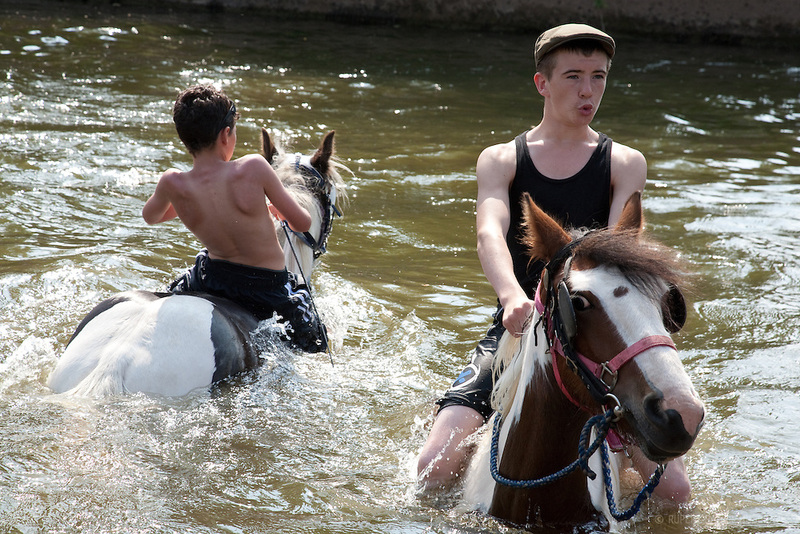 Gypsy boys ride their horses into the river Eden at the Appleby Horse Fair in Cumbria, England, United Kingdom. The horses are taken into the river and washed in preparation to be sold. Around 40,000 gypsy travellers congregate annually for the fair, one of the oldest and largest in Europe.